Should You Cover Your AC Unit After Summer? Many homeowners choose to cover up their air conditioning units once the summer ends. 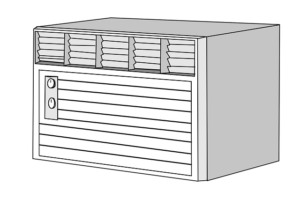 While you know the basics of HVAC unit maintenance for your heating and cooling system, you might not know how to take care of your units when they aren’t preparing for operation. Many homeowners choose to cover up their air conditioning units once the summer ends. Is that a wise idea for you? When Should You Cover Your AC? While your air conditioning unit is specially designed to hold up through periods of wind, rain, and snow, it is not designed to be leaf-proof, seed-proof, nut-proof, and animal-proof. It’s best to cover your unit during the fall to prevent yard debris and the things mentioned above from getting into the air conditioner. Once leaves make their way inside, moisture will collect. This moisture can then lead to corrosion. Over time, this moisture can back up the drainage in your unit and do a great deal of damage. If you choose to cover your unit, you should only cover the top. Covers should only hang over the side by about 6 inches at most. If you cover it completely, you might be in for a world of trouble and repairs! The moisture will not be able to escape at all, and rust and corrosion will start to form. What Won’t a Cover Protect From? Dirt: Whenever your unit is turned on, dirt will come inside. Whenever your unit is off, all of those things will stay outside. Snow, Ice, Cold Weather: Outdoor air conditioners are designed with these in mind, so don’t worry about keeping them protected from the elements. Moisture: While leaves bring in more moisture than you want, moisture will naturally find its way into your unit. Rodents: During the cold seasons, covers can actually attract small animals and pests. Since animals want to get out of the cold, a cover can just give them a place to wait out the cold months. This entry was posted on Tuesday, August 7th, 2018 at 11:10 am. Both comments and pings are currently closed.